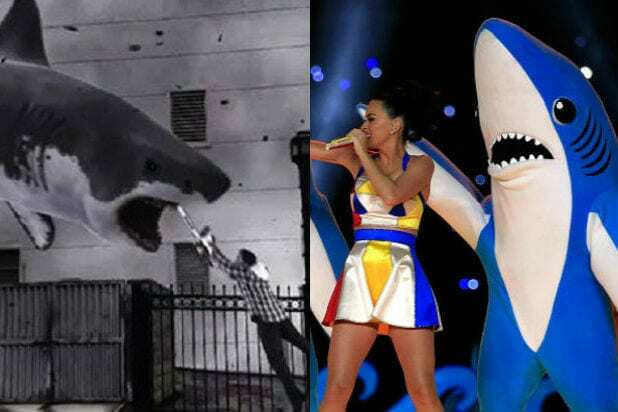 The scariest moment in “Jaws” doesn’t include a shark on-screen. It comes when Quint describes Navy crewmen, survivors of the sunken USS Indianapolis, being eaten alive in a shark feeding frenzy in 1945. 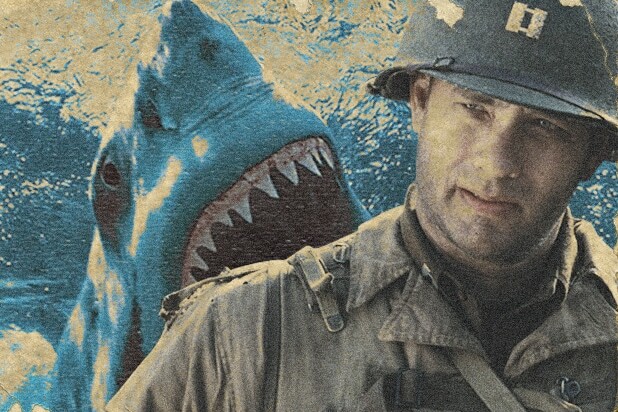 Steven Spielberg wanted “Jaws 2” to tell that true story: Think “Saving Private Ryan,” with sharks. Our guest for the episode is Mark Ramsey, host of the stunning “Inside Jaws” podcast. Besides recounting Spielberg’s journey as he directed “Jaws,” it also re-enacts some of the hellish shark attacks that inspired the film. What makes Quint’s story so scary is its accuracy. Almost everything he says is based in fact. It was July 30, 1945. The Indianapolis was returning from an ultra-secret mission to deliver parts for the bombing of Hiroshima. A Japanese submarine torpedoed the Indianapolis, and it went down within 12 minutes. About 300 of the approximately 1,200 crewmen aboard went down with the ship. The survivors floated in the water. And then they began to feel bumps beneath their lifeboats. Hundreds of crewman died in horrible ways: Drowning, drinking combinations of oil, blood and saltwater, and being eaten alive. In the end, only 316 men survived. It was the largest single loss of life from a single ship in the history of the U.S. Navy. Quint’s speech (delivered by Robert Shaw) is the darkest moment in “Jaws.” He describes the lifeless eyes of a shark — “like a doll’s eyes” — as if sharks represent death itself. Chief Brody (Roy Scheider) and Matt Hooper (Richard Dreyfuss) listen wordlessly. The speech makes the movie a masterpiece. Quint only seems to remember one key detail wrong: He gives the date of the attack as June 29, 1945, but the actual sinking of the Indianapolis was a month later. It’s not a surprise that Universal executives didn’t think the awful story of the Indianapolis would be a good follow-up to “Jaws,” the first summer blockbuster. Usually on the “Shoot This Now” podcast, we talk about stories that should be made into movies. Unfortunately, someone beat us (and Spielberg) to the story of the Indianapolis. And that someone is Nicolas Cage. He starred in “USS Indianapolis: Men of Courage,” a 2016 film that premiered in the Philippines and later became available on iTunes and Amazon. Directed by Mario Van Peebles, it stars Cage, Tom Sizemore and Thomas Jane. It has a 9 percent on Rotten Tomatoes. And it’s certainly less memorable than the “Jaws 2” that might have been.